Novotema headed over to Ireland this week for Medical Technology Ireland 2018, a key event showcasing innovative products and solutions for the Irish medical device industry. Salvatore de Marco and Raffaela Picini from the Sales team both made the trip to Galway, where they met a selection of influential people from pharmaceutical companies across Ireland and Europe. 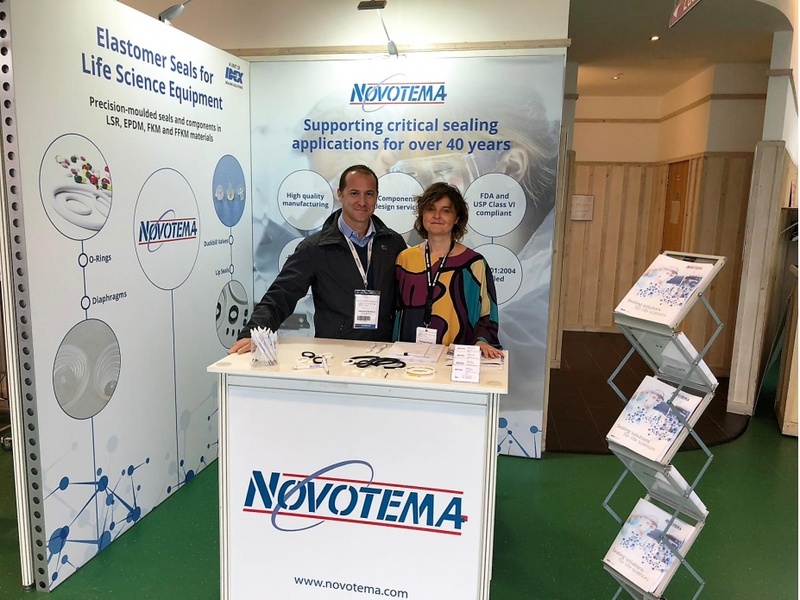 Discussions involved Novotema's range of high performance elastomer materials with resistance to process media and potent APIs, with plenty of interest shown in custom component design for gaskets and other elastomer items. If you'd like to follow up on your discussions at Medical Technology Ireland, or if you couldn't make it to the show and would like advice on sealing for medical applications, contact our specialists today!